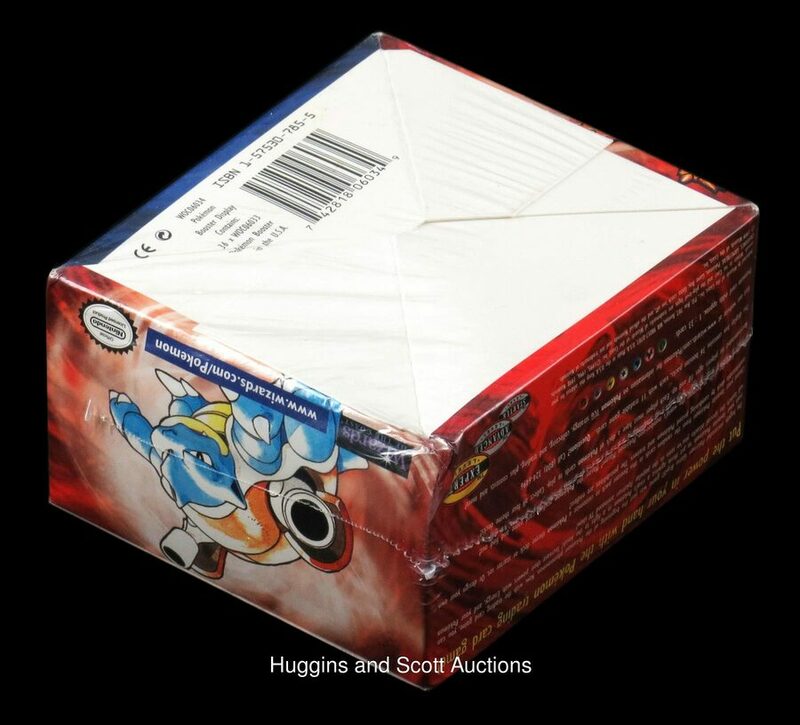 An unopened Pokémon Trading Card Game booster box has just been sold on an online auction, with the final bid reaching a staggering $68,880 (around £54,000). If you're seriously into your Pokémon cards, you'll no doubt be aware that some of the earliest designs - especially when they are first editions - can fetch a pretty penny from the right bidder. Just last year, we spoke to a UK collector who made a life-changing sale, lovingly sacrificing his collection for his family, and adding to the many tales of Pokémon card success stories in the process. 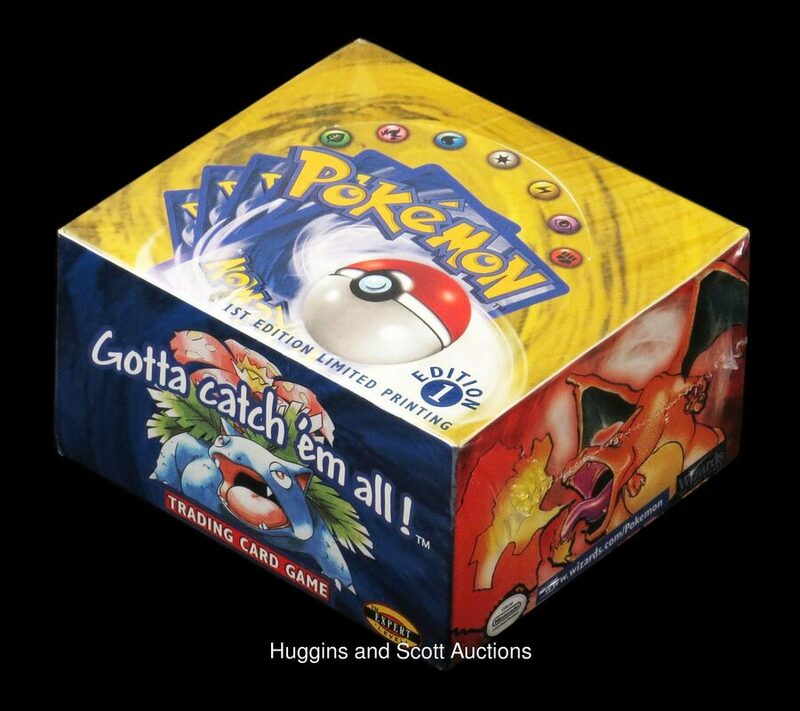 This new auction featured a particularly rare find: a 1999 Pokémon First Limited Edition Printing (English) unopened booster box of the trading card game's 'Base Set' - the very first expansion of the series. The box contains 36 eleven-card packs, all unopened, and even had a slight "ding" on one of the corners. This little dent didn't seem to be of any concern for eager customers, however, with 15 bids being placed in total before the auction's end. These first edition boxes are rarely seen on the market, although a similar sale was made in September last year, that time resulting in a $54,200 (or £42,500) winning bid. 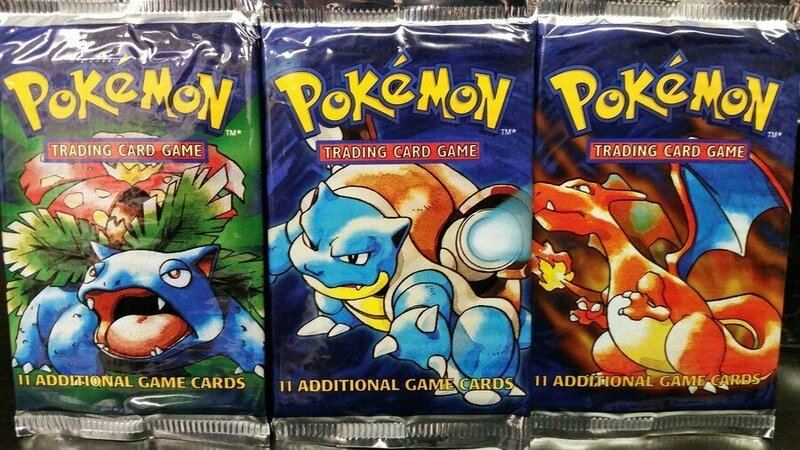 If you have a box tucked away in a cupboard somewhere, or even just the famous shiny Charizard Base Set card, you might want to consider popping it online for some easy money. That's if you can bear to part with it, of course. Holy crap. That's nearly AU$100,000! This hobby seems exhausting, especially for nostalgic fans who are retroactively trying to accumulate older cards at ridiculous prices. I would settle to just look at the pretty cards in a museum, or an electronic version of the card game, if The Pokémon Company were to ever produce a sequel to the GBC games rather than the pay-to-win grind-fest that is TCG Online. Does that mean a full unopened amiibo collection would go for over £100,000 in 20 years? Crazy.. I am sure there must be more than few people living their lives not knowing this little box is an actual treasure. Aside from the most diehard collection enthusiasts, there is no reason to do this. You could buy a complete Base Set for less. Mint. FAR LESS. @Matthew010 : An unopened pack of Sanrio amiibo cards is already going for £100,000. The next story NL will run is, item relisted as winner did not pay. Must be a slow news day, Keep up the good work NL. I swear I bought one of those booster boxes not that long ago for like £50. I have a few empty 1st edition boxes I kept for posterity. People sometimes offer me money just for THAT. I've never understood the hugely inflated prices for sealed items. N64 games especially. You can have a mint game, no marks, and sells for a reasonable price. If it's sealed then goes for many times that figure. And it'll never be opened! And, while I'm sure that this has been checked for the specific items, as any comic book fan will tell you, unless the plastic is non -acidic, paper rot can occur over the years. Now N64 game wrappers seem decent quality, but the booster pack plastic is of poor quality made to be ripped off. Still stupid either ways. @Silly_G there is a sequel to the GBC game that was only released in Japan. However it has been translated. @fafonio : I said "the GBC games", referencing the Japanese sequel. Those photos hit me hard in the nostalgia. That said, if i was a millionaire, i'd totally waste my money buying unnecessary things, like first pressing vinyl Beatles LPs, mint boxed copies of Custer's Revenge, copies of Amazing Fantasy #15, and several dozen "fun-filled" weekends with Bailey Jay. @Sakura7 The "sealed" collectors market is some kind of crazy display thing for wealthy collectors who apparently have all the money in the world to spend on stuff. For everyone else we have used items at a massive discount.